How to teach a kitten to walk in the tray? Month old kitten is a little ball of happiness. However, with the joy he often brings to the house a number of problems. Of course, they are not insurmountable, but the solution of some problems sweat will surely. One of the most difficult issues faced by owners of small cats - how to teach your pet to go to the potty. Perhaps the subject "How to teach a kitten to go potty" on the popularity of one of the most important on the discussion forums. Sometimes this process is the owners of cats is quick and easy. And sometimes the animal begins to show character. And then unfolds the whole fight. In order not to have a nervous attack, trying to educate pet hygiene, try to follow the instructions that were professionals. Often the kitten you already have some skills on the toilet, because the cat, possessing highly developed intuition, learned to guess his wishes and took him to the potty when he felt that this time. It doesn't matter beautiful or not. To teach the month is better because it is often guided by the reflexes. Your job as owner is to buy the right pot and filler. Try not to choose a deep pan with high sides, the kitten will not only be difficult to get out of it, but to go. The height of the rim should be no more than 7 cm. Better even if a little smaller, because the monthly kitten is still a baby. It is also worth remembering that the tray should not contain the bottom two, to have the mesh. 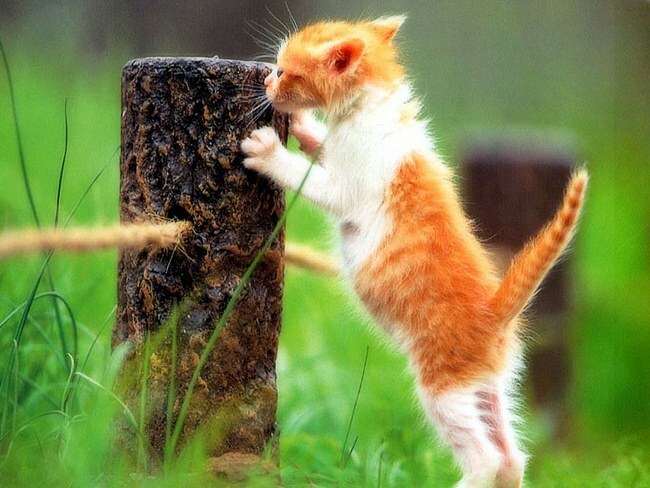 The kitten legs are still weak, and the claws small. It is easy to get stuck in the grid, and more to walk the "dangerous" pot is not. Next, you need to pay attention to the choice of filler. It is divided into several types: clumping, wood, sawdust etc. To use the ancient methods, such as sand or torn paper today is not worth it. It's expensive and unhygienic, and their ultimate goal you will not achieve. The cat simply will not like that he had wet paws. Often, professionals recommend to opt for clumping of the filler. He collects and smell, and paws the kitten will be immediately dry. Next, you need to choose the right place for the tray. Do not think that the only logical option is the toilet. Be sure to focus on this issue at the kitten. First, the door to the toilet can often be closed or be too heavy for his legs. Second, find the pot somewhere in the toilet more difficult than, for example, in the hallway. For example, it is recommended to choose for a cat, or a quiet place, hidden from prying eyes, with a dim light. In addition, it is desirable that there was a lot of space for the pet to easily turn around, politicsa if he wants. Introduce the kitten to the potty. Immediately after he has eaten, take him to the potty and put him in it. For a long time you will not have to wait: little kitten and goes about his business almost immediately after you eat. Repeat this several times, and the cat will develop a reflex. If the pet does not want to go on the potty, digging in the corners, etc., do not immediately lose patience. Here you will only persevere. Alternatively, you can put the kitten in the toilet and barricaded that he could not leave until it performs. But it is worth checking and easy compliance with the recommendations. Maybe you just put the tray where it's too bright. If the animal goes to the toilet on items that are absorbent, the doormat, the doormat, shoes or Slippers of the master, take all the time. If the kitten took a fancy to a certain place and only goes in there, move it to the pot. If this is not possible, try to discourage the kid by putting orange peels on this place, or wiping the floor with vinegar. The main thing is patience, patience and again patience. But it will help you cope with this task. One of the biggest problems accustom the animal to the toilet. This is a hard case it is important to have patience. Especially if you are accustom to the toilet already an adult cat or a cat. Now pet stores are full of an abundance of trays for cats: deep and shallow, with bars or without, in all possible sizes and colors. 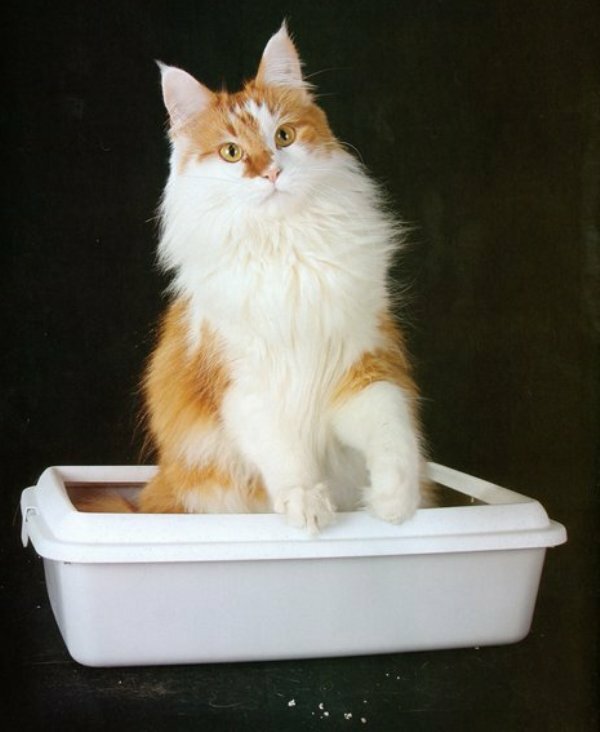 If you are accustom to the toilet already an adult cat, feel free to take a deep tray – there is no chance that it will not be able to get in. It is also desirable that the tray was large, many cats like to carefully dig in the litter. There are trays with curved top edges – this will help you avoid spillage of litter during a particularly thorough "tidy" cat. There are animals that dig up the filler particularly intense or too shy to go to the toilet if someone's watching. For these cases there are closed stalls. They are also good because not allowed to spread the smell. Before cat went in the sand (which should have been harvested in the summer for the winter) or on the newspaper. It is not hygienic for the cat and frustrating for you. A terrible smell spread everywhere, forcing you to constantly change the contents of the tray. In pet stores there is a huge range of fillers, they are not very expensive. The cheapest, environmentally friendly and safe filler – wood. This filler is best suited for trays with insert-mesh. Soaked the filler crumbles and falls to the bottom of the tray, and the top remains dry only. But, despite the environmentally friendly, this type of filler is not very well mask the odors. With this task perfectly cope clumping fillers. You need a shovel to remove only the lump and feces after the animal goes to the toilet. There are even fillers with perfumes, fragrances, however, veterinarians do not recommend to use them. The choice of the place under the tray. Do not scold the animal if at first it will be "miss. Sometimes, in order to accustom an adult cat to the tray, just the right positioning. Watch the cat if you're happy with the place she chose, put a tray there, if not, then as soon as you notice that the animal sits in the toilet, gently take it and put in the tray. Don't forget to praise and give a treat when the cat did the right thing. Never poke the cat's nose in a puddle – this will only provoke it further attract your attention. Instead, it is recommended to soak the urine on a cloth or napkin, and best of filler and put in a tray and then carry the cat and put, give a sniff. A small trick. In addition to special sprays type "antigadin" you can wrap a piece of cat food in a piece of paper and put in place, unauthorized coveted under the toilet. The cat will never go to the toilet where eating or sleeping. Each cat is individual. And this expression does not make sense. That is why there are different approaches in such a delicate matter as teaching of a cat, especially an adult, to urinate in the tray. First of all, you need to arrange a toilet for cat, you need to place in a very secluded place of the apartment where the animal will not be disturbed. For this purpose, suitable bathroom, toilet, insulated balcony or loggia. As cats are well suited plastic tray with sides, to a depth no lower than 10 centimeters, or a special house-the toilet. 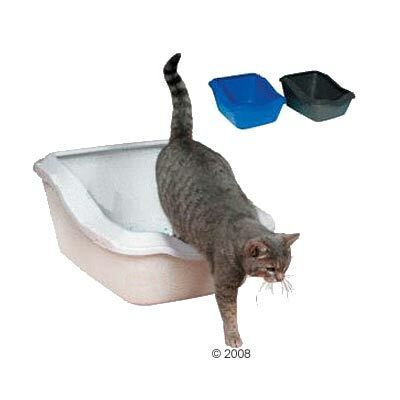 High sides of the tray will allow your cat to dig into it, but the filler is not to throw beyond. Cat house-the toilet has one additional advantage – a special filter on the lid that clean the air after the cat went to the toilet. 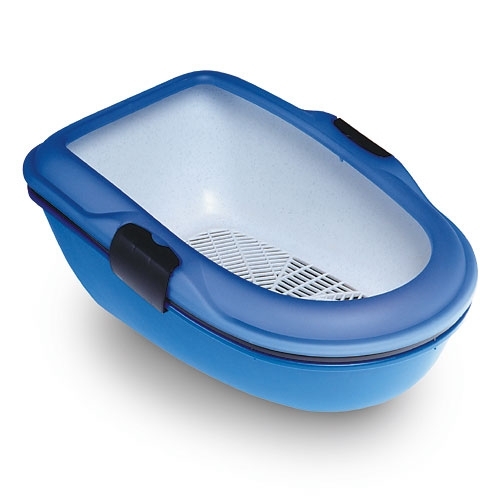 The tray must be stable, large enough that your pet was able to stick around, to dig, to choose suitable place for him. Then to accustom an adult cat to the tray will be much easier. It is not recommended to use the tray with the grid, as in this case, an unpleasant odor will spread rapidly through the apartment, the tray would have to immediately wash. To accustom an adult cat to the tray with netting will be much harder. 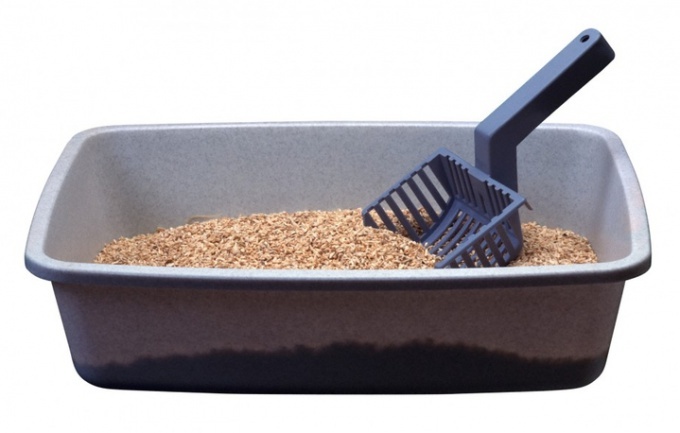 Cats always try to bury the results of their "labors", which is why the tray should be filled with special filler. Quality cat litter composed of natural ingredients that quickly absorb moisture and prevent odour and bacteria. Take care of this toilet much easier and more pleasant as filler granules easily absorb moisture and clump together into a ball. A lump of filler you just remove and throw, burying the new pellets. If an adult cat has started to spoil in the wrong place, persistently avoiding the tray, in this case, you should contact your veterinarian. Sometimes this behavior indicates health problems. Very often animals thus attract your attention to their problem. Sometimes, an adult cat just begins to mark its territory. In this case, will only castration or sterilization of your pet. The places that the cat has already marked, can be treated with a mixture of ammonia and lemon juice. The smell will quickly subside, but the cat will long to feel it, and bypass these seats by party. 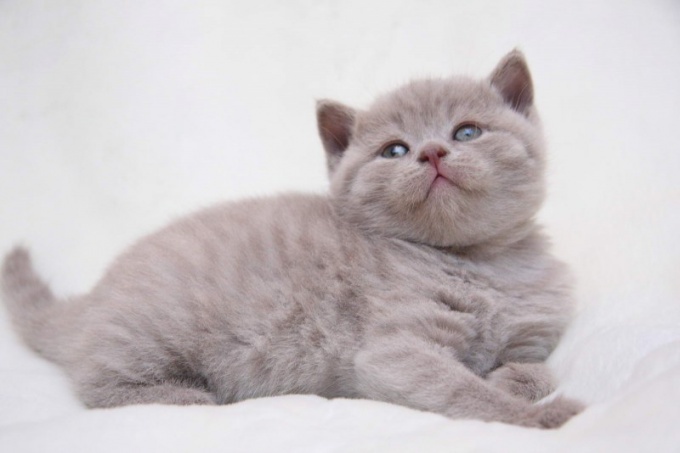 Usually, breeders sell or give in good hands kittens who are already accustomed to the tray. But what about people in private houses, if you do not want to spend money on litter and time cleaning? Because all the decent village cats do their business outside, it is comfortable and natural. There are several ways to teach a furry pet asking to go outside and relieve themselves outdoors. If the tray is in a secluded location away from leaving the house, begin to gradually move it closer to the door. Just move it 2-3 meters every few days. The kitten will find a tray at a new place by smell. Fluffy Tomboy too accustomed to the place, finds your toilet and leaves a puddle on the floor? It will pay special attention, to watch him. As soon as the kitten escaped the former site of the toilet with the purpose of naprudil another puddle, starts to rake in typical foot invisible filler, urgently pick up it and take in a tray at a new place. Be patient, show him the new location of the tray again and again. After a few days your whiskered pet will get used to it, the tray has the ability to quietly navigate and learn to find it yourself. When the tray reaches the front door, feel free to send it over the threshold. As soon as the baby starts to look for the missing the toilet, open the door and let him out. The cat has no choice: either he will do his business in the tray, or find a good bunch of land for this purpose. Some time after these manipulations pet will appreciate all the beauty in the street toilet, the variety of places for digging in the earth and independence from the hosts and cleanliness of the tray. He starts to ask on the street itself, to cast a vote at a threshold and to sharpen its claws against the door jamb. It is the most effective method, but it requires a lot of time to implement. There are quicker options for training the kitten to go to the toilet outside. But they require from owners more attention to the pet. Ideally, during training, one of the owners must constantly be home to watch katakai. As soon as kitty starts to look for a dark corner and show by their behavior that he needs to use the toilet, have him stand on the street. Long the baby will not be tolerated and still do their business outdoors. Watch him and to repeat these steps daily until he gets used that does not have a tray and can use but lawn near the house. Another way to accustom your cat to the toilet in the street is to walk him after every meal. As soon as he eats, leave it outside and walk in nature. Little frolic, run through the grass and find a good pile of sand for the needs. After a few days the shaggy dog will develop a reflex immediately after eating to go for a walk and doing there own business.